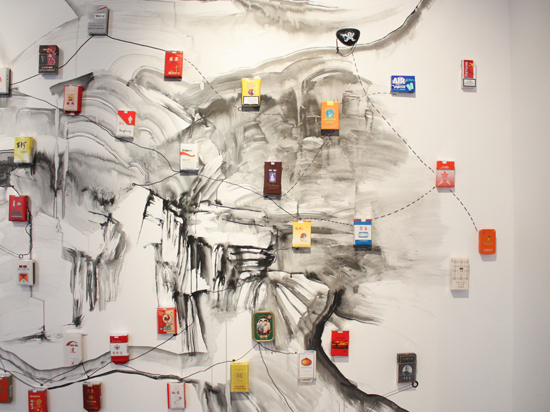 Read a Q&A by Zoe Li with the artist here. 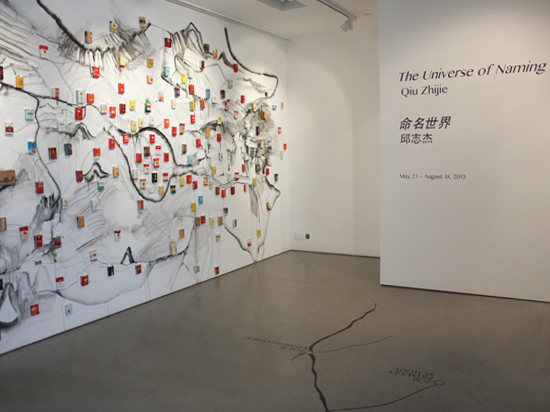 The exhibition will be open to the public free of charge from May 23 to August 18, 2013. 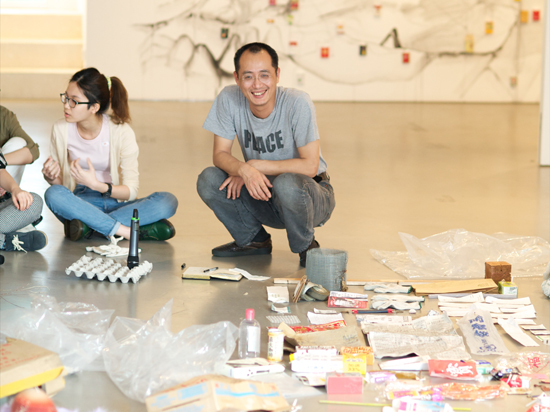 Qiu Zhijie will be holding a two-day student workshop in which Hong Kong-based art students will collaborate with the artist and contribute to the installation. Please email us to participate. 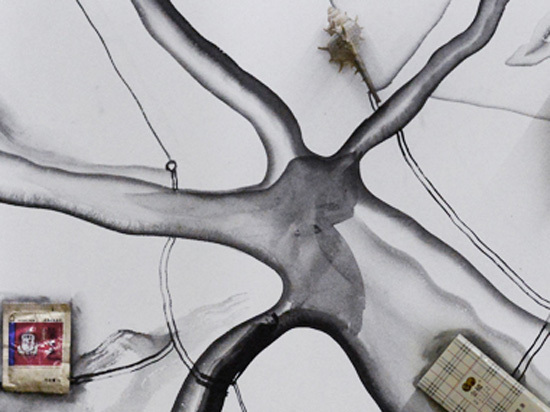 Qiu Zhijie will give a sneak peek of the installation at Spring and talk about his work-in-progress in conversation with Leung Chi Wo, Jane DeBevoise and Anthony Yung. Please click here to register. 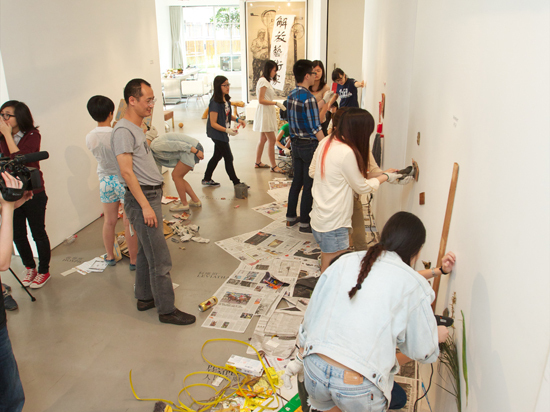 Join us for the installation's opening night at Spring. 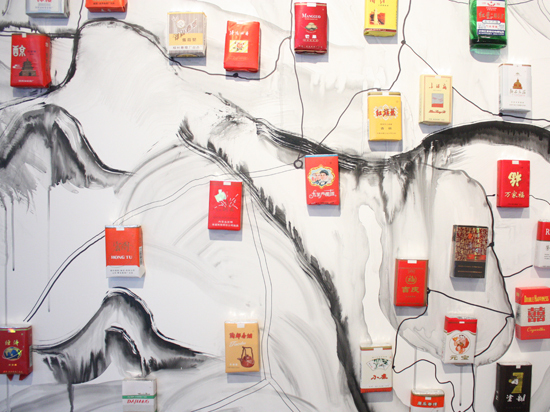 Come visit the vibrant Wong Chuk Hang neighborhood's many galleries. Click here for a gallery list. 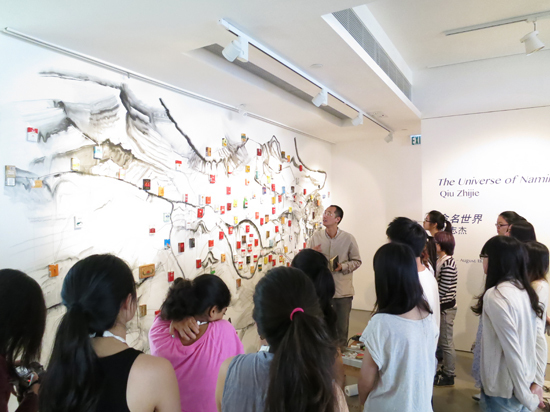 Led by art educator and artist Clara Cheung of C&G Artpartment, the 2-hour session is an art workshop that will enable participants aged between 8-12 to connect directly to the exhibition through drawing, collage and mapping. 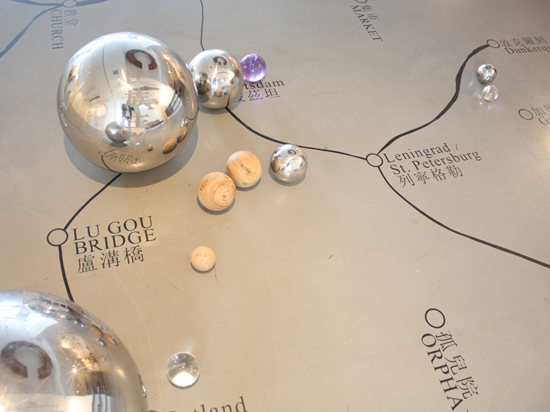 Public Guided Tours are offered on weekends. 45-minute tours for primary and secondary school groups may be arranged on weekdays on request. Please click here to register.